Do you want to use your vehicle to increase your brand and business visibility, but need an option that allows you to advertise when you want to? Custom vehicle magnets by Rocky Mountain Sign Company are your solution! 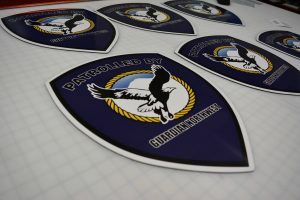 As your local full-service signage shop, Rocky Mountain Sign Company handles every aspect of the vehicle magnet process. Aside from offering expert fabrication services, we also provide professional design and installation services for all of your signage needs. We provide the attractive, affordable solutions you need, tailored to your unique brand and business, and in the timeframe, you need it in. So when you’re looking for a reliable signage partner, Rocky Mountain Sign Company is the right choice! 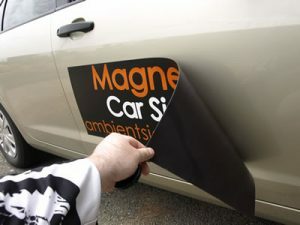 With vehicle magnets, you can easily advertise your business on the go. 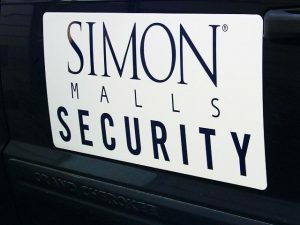 As you go about your standard daily routine, your vehicle magnet will promote your business, everywhere you go. Reach a greater audience within your community and inform them that your business exists and can provide them with outstanding products and services. Best of all, when you are on your time, or you need to switch vehicles, you can quickly remove and reapply your magnet when you’re ready! 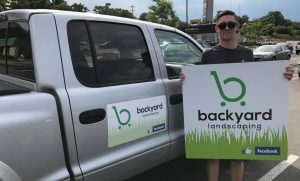 Rocky Mountain Sign Company has the tools, knowledge, and experience required to deliver the eye-catching vehicle magnets that get your brand noticed! Rocky Mountain Sign Company is a full-service sign company. That means we handle every aspect of your signage project, including professional design, fabrication, and installation. We begin with a free consultation where our knowledgeable sign experts discuss your ideas, goals, and needs. Our goal is to provide affordable, effective signage solutions that help you meet your business signage needs, and the best way to do that is for us to understand your brand and business. Choosing the right signage partner is essential when it comes to getting the right solutions for your brand and business needs. We have the tools, skills, and experience needed to deliver the solutions your business needs to achieve its signage goals. With excellent customer support and superior sign and graphic solutions, Rocky Mountain Sign Company is the right choice for all of your personal and commercial signage needs. We look forward to helping your business grow and reach new market success. Call Rocky Mountain Sign Company today at (303) 945-3288 for your Free Consultation with a Vehicle Magnet Expert!